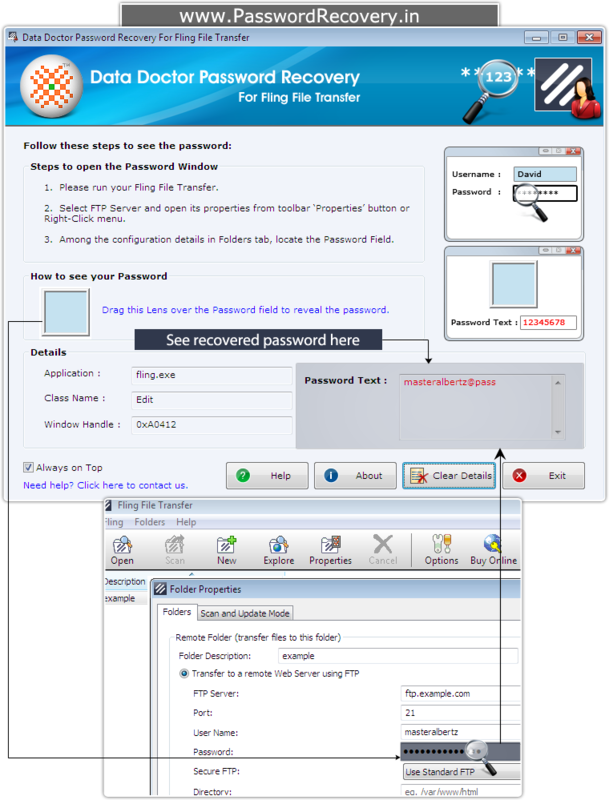 Retrieve lost password From Fling File Transfer Software. 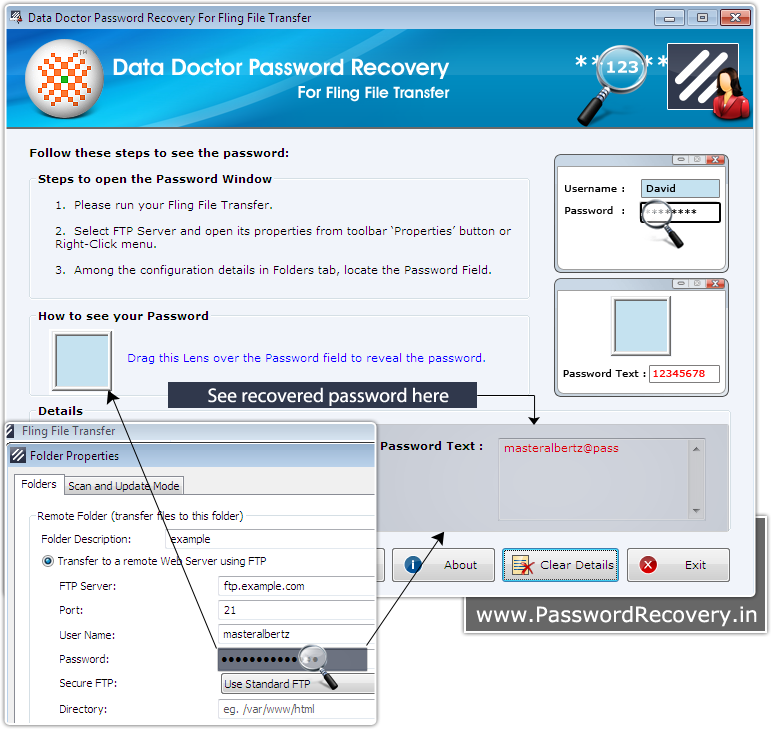 Password recovery with "Password Recovery Software For Fling File Transfer"
How to Recover Password from Fling File Transfer software? 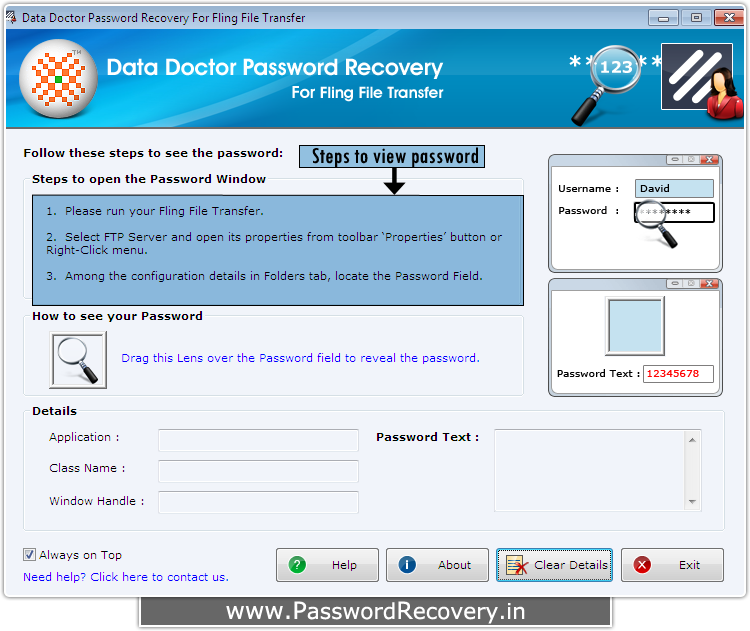 Install “Password Recovery Software For Fling File Transfer" on your computer system. After installing, the above screen will be appeared. Run your Fling File Transfer Software and select 'FTP Server'. Now, Open ftp server properties from 'Properties' button in toolbar or 'Right- click' Menu. Locate the password field among the configuration details in 'Folders' tab. To view password drag lens over the password box. 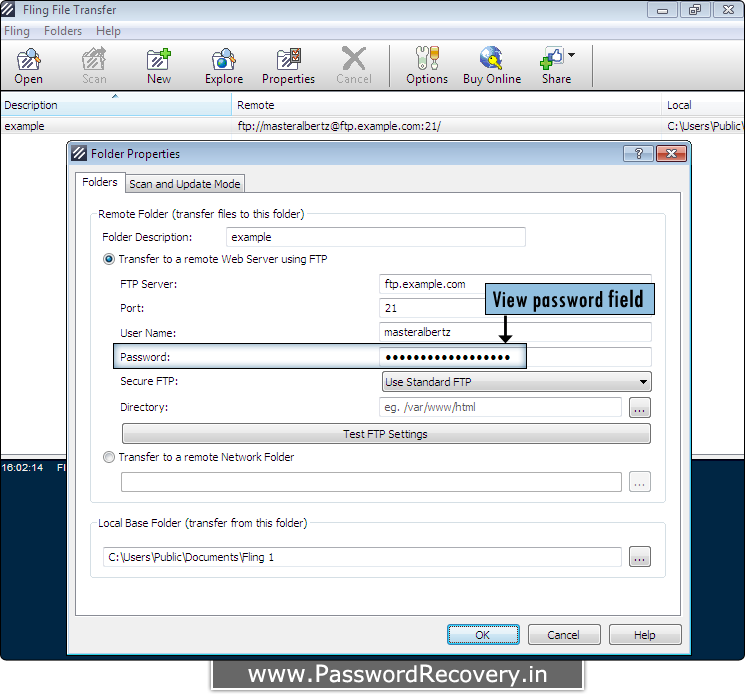 Recovered password will be displayed in the passwod text field at right side (for e.g. masteralbertz@pass) as shown in above screenshot.